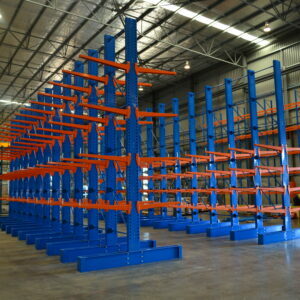 Global light-duty cantilever racking systems are perfect for storing long, awkwardly shaped and oversized objects. 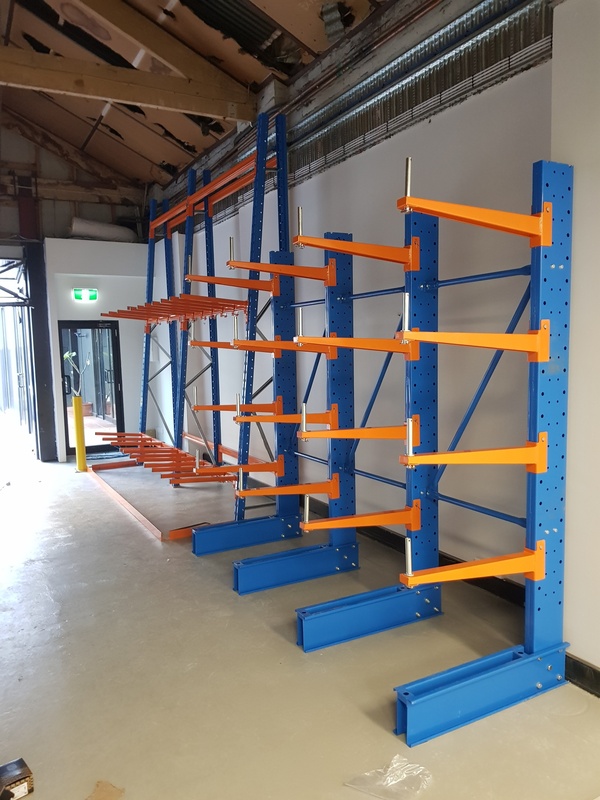 Loading and unloading a variety of objects including plywood, chipboard, timber, pipe, tubing, conduit and extrusions becomes easier to handle. 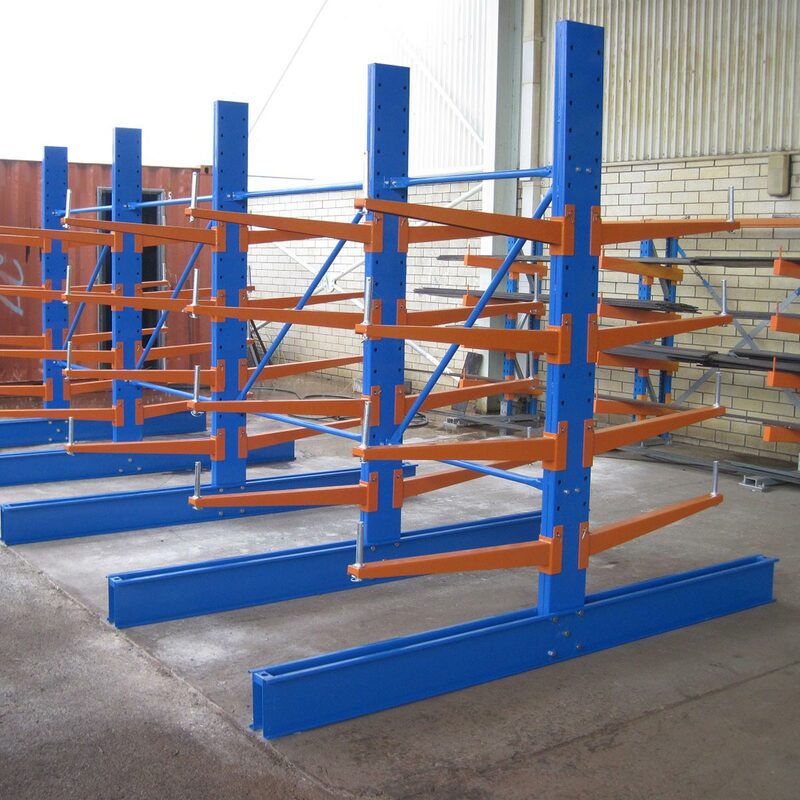 Our light-duty racks are even perfect for steel, sheet metal, structural members, building materials, pallets, doors, furniture, hardwood flooring, rolls of carpet and other construction materials. 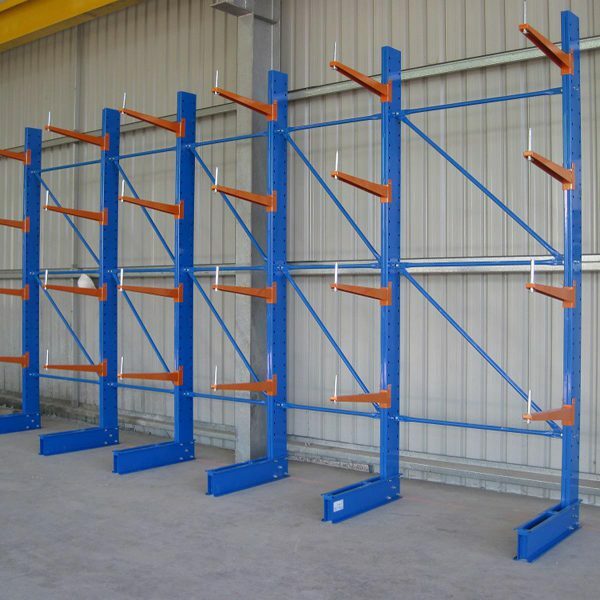 We can easily customise the height, arm length and loading capacity to suit your needs. 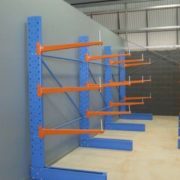 Global offers both powder coated and hot dipped galvanised finishes. 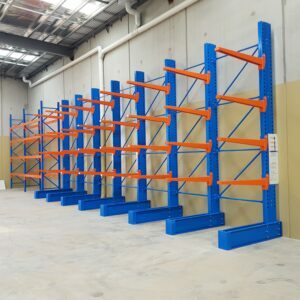 If your storage facility is indoor e.g. 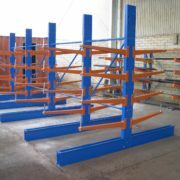 in a warehouse or workshop, then the powder coated finish is perfect for you. 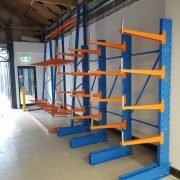 The blue and orange finish makes the arms stand out visibly from the upright structure making it a safety feature. However if your requirements is for an outdoor installation, the hot dipped galvanised (HDG) finish would be a better option. The hot dipped galvanised finish is ideal for outdoor warehouse yards and construction sites, as it reliably holds up against water penetration and prevents rust. 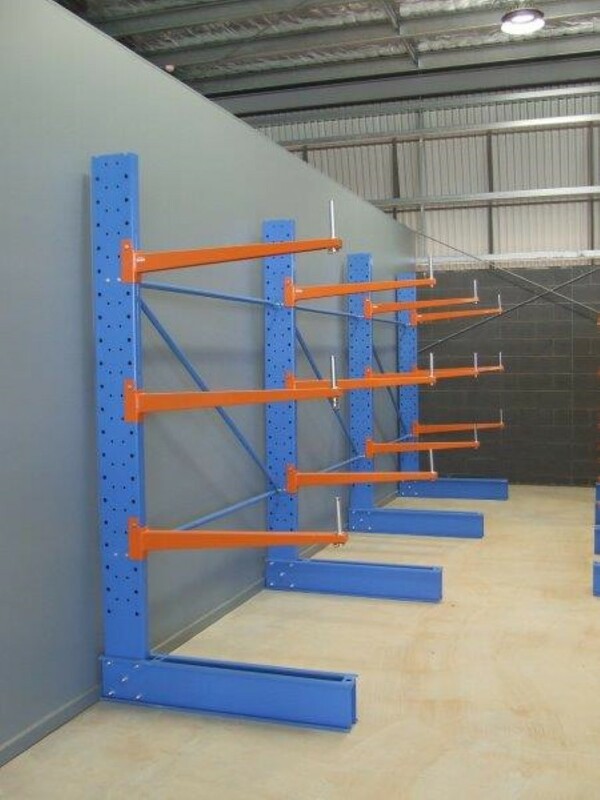 The HDG finish creates a highly durable material that will last against a variety of materials in most environments.